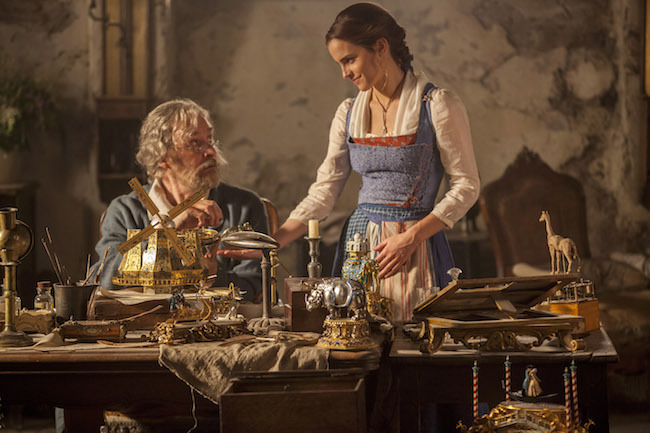 Beauty and The Beast is available on Digital HD, DVD, Blu-ray and DMA and is a move that ever kid will love to snuggle up with and enjoy. The magic of this movie transcends time – and will have all generations sharing and enjoying in its creativeness. It is incredible to see how different movies are now than when I was a kid! There are some really fun facts about this movie that I think are kind of neat so i wanted to do a quick Beauty and the Beast fun facts post to make sure you are really enjoying the movie to its fullest! One of my favorite things I love about this movie is the way you can use it as a teaching tool for little kids – to help them understand not to judge a book by its cover, just like Belle. She took the time to get to know “the beast” – only to learn what a great guy he is – something we can all be more open to! I love when they remake a movie that was one of my favorites to begin with. Beauty and The Beast movie review featuring Emma Watson as Belle, is beautiful and was the perfect choice to be cast as Belle. It reminds me somewhat of Cinderella. When the Prince turns away a woman looking for shelter, she casts a spell over him turning him into the Beast and all his servants into inanimate objects. Belle’s father, Maurice, gets lost in the woods and captured by the Beast and taken prisoner. Belle sets out looking for him and takes the place of her father so he can be set free. Belle with her warm and loving nature, sees past the meanness and recognizes the kindness in the Beast’s heart. As they begin reading together, she inspires him to become a better person and the Beast slowly comes back to life. With new music added to the movie, it’s magical and makes you feel as if you are in the movie yourself. 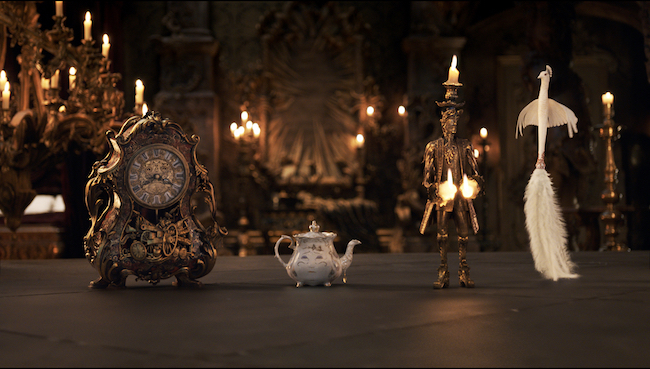 If you have seen the original Beauty and The Beast, you will notice that the castle evolves with the story which it didn’t do in the original. I thought the remake of Beauty and The Beast was fantastic and the kids especially the girls put themselves in Belle’s place and watched the entire movie. 1. Over 8,700 candles (or 104,400 inches of wax) were used as set decoration during production. 2. Approximately 1,500 red roses were grown or purchased during production for use as research or set decoration. 3. 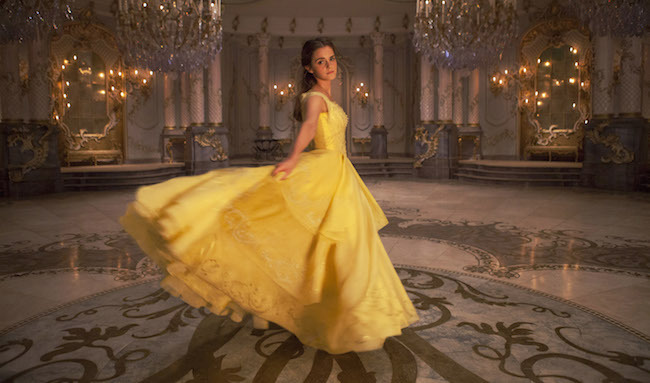 Approximately 180 feet of feather light satin organza was used to create Belle’s yellow dress. 4. The dress also required 3,000 feet of thread and took over 12,000 hours to create. 5. It was accentuated with 2,160 Swarovski crystals. 6. Emma Watson (Belle), Emma Thompson (Mrs. Potts), Luke Evans (Gaston) and Nathan Mack (Chip) all share the same birthday, April 14, which was also the date of the cast read through. 7. The enchanted forest which surrounds the Beast’s castle and features real trees, hedges, a frozen lake and 20,000 icicles, took 15 weeks to complete.